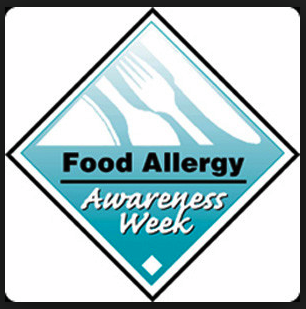 Did you know that this week is Food Allergy Awareness week? I actually learned about this week from Mel via her amazing website Mel’s Kitchen Cafe. She wrote a post on Monday that includes a number of links to good, allergy-friendly websites. Egglesscooking.com – This was one of the first egg-free websites that I started visiting many years ago. I haven’t tried every recipe (there are so many!) but the ones I have tried have turned out very well. The site is also very easy to navigate, which is always a plus, in my opinion! Lucy’s Friendly Foods – Lucy’s site was one of the first I started following after beginning my own blog. She’s the mother of two children with allergies, but as she’s a trained chef, her food is allergy-friendly, fancy, and just gorgeous. Eggfreebakery.blogspot.com – Brittany just got in contact with me on Monday after seeing my comment on Mel’s site. I’ve perused her site plenty of times since then, and while I haven’t tried any recipes yet, I’m very excited to! Speedbumpkitchen.com – This mom of three is the creator of lots of delicious egg, nut, and dairy-free recipes. Her recipes are very simply, and her photography beautiful. I’m just dying to try her allergy-friendly Chubby Hubby “ice cream”! Peachy Palate – I love Michelle’s blog, recipes, and her upbeat attitude. While her aim is not necessarily allergy-friendly, many of her recipes are vegan (so, egg and dairy free) and gluten-free. I often go to her site and pin lots of allergy-friendly foods! And of course, you can always check out my Recipe Page for guaranteed egg- and nut-free recipes, as well as many dairy- and gluten-free! I know that I’m a little late in bringing this up, as the official week is almost over, but I guess the reason that I do is because of how important awareness is to me. I think that places (schools, restaurants, grocery stores) have gotten much better about allergy awareness, but there is still much more progress that could be made. When I was younger, I often thought of my allergies as being an inconvenience to people – they’d have to restrict their diets because of mine, make special foods for me, stop other kids from eating their favorite foods, and clean things extra well – but now that I’m older I realize that if it is a question of putting a child at risk, why don’t more places take these precautions? My allergies really aren’t that bad in comparison to some. But I think some places/companies could put a little more thought into making their environments more comfortable for all people. Just a few years ago I was sitting on an airplane and the man next to me ordered peanuts as a snack. I didn’t want to be rude and ask him not to, but I couldn’t just get up and move to a different seat, so I sat there trying to inconspicuously hold my scarf up to my nose and mouth to filter air so I could breathe. While I still get that twinge of guilt whenever I say these things, I do wish that there could be some way companies could be a bit more cognizant of the risk some of their customers are under. 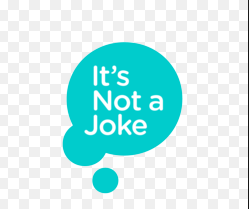 After looking through the Food Allergy Awareness website, I came across this PSA video. While some of the video is borderline cheesy, I do think it gets across a good point. I had no idea that 1 in 3 kids with allergies has reported bullying. A few weeks ago I mentioned something about being teased when I was younger. It truly didn’t bother me too much, but every kid is different, and it breaks my heart to think that kids who cannot help having allergies are getting teased. Anyway, I sent the link to the website/video to my mom, who works at an elementary school, and she will be sending it out to her colleagues. Like I said, schools are getting much more allergy-friendly, particularly the one she works at, but I still think it could get better. I think just simply sharing information and videos like that will help increase awareness, so maybe some of you will share them too? Have food allergies affected you personally? What are some of your favorite allergy-friendly websites? What’s a topic that you’re passionate about? Ooh I like this. I don’t have any allergies, but I have a lot of sensitivities. I’m planning on including a little something about this being Food Allergy Awareness week on Friday. I really like those egg-free links. Thanks! It’s so hard to find genuinely good egg-free recipes that don’t have something else in them that I can’t eat. Lol. That’s awesome that your mom is going to send the link to her colleagues! Schools could definitely be aware about food allergies, but I’m impressed with how far they have come so far. Seriously. It is so tricky to find good sites. I hope they help you out! Yeah, schools definitely have come very far. My mom’s school is a completely peanut-free zone. Much better than when I was going there 12 years ago! Awesome and thorough post! I haven’t got any major allergies but a friend of mine has a son who has a terrible time with it. I’ll have to forward this post to her! Aw, yes, please do send it on! Thanks for stopping by! Good! I’m glad you liked them! Great post! Fortunately, we don’t have any food allergies (knock on wood!) in our family, aside from Keenan’s intolerance to cashews and pistachios, but this info is good to know! Thank goodness you don’t have to deal with them! And hopefully the cashew/pistachio allergy isn’t too difficult. I’m glad you found it helpful!